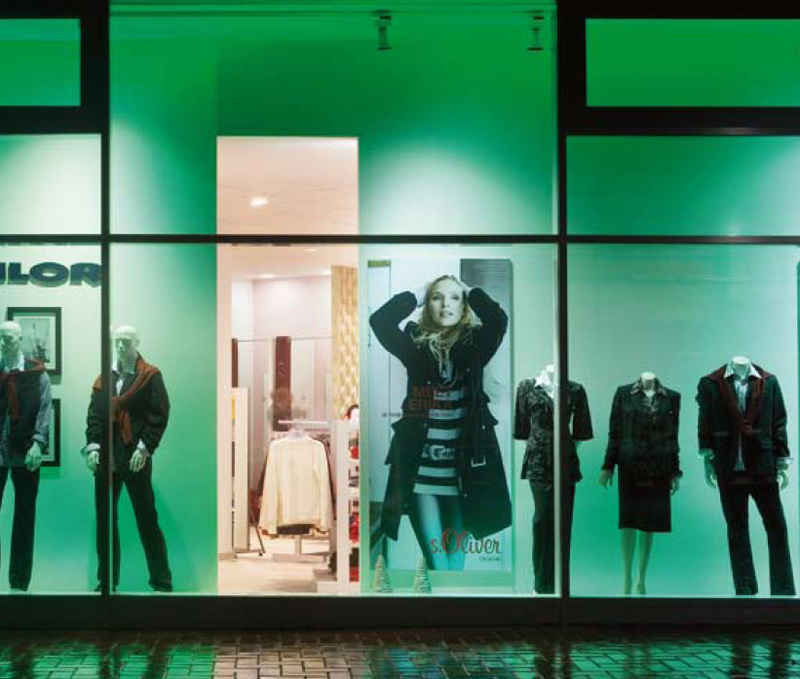 With flexible wall illumination you can change the color and the mood of your shop, creating the right ambience for a given audience at a given time. The color can change very gradually or within a second. It can change over a period of time (e.g. to attract attention) or it can remain static for as long as you want it to (e.g. to complement a promotion). It can change between bright, saturated colors and soft pastel tones of white, e.g. to create a warm atmosphere during the winter. 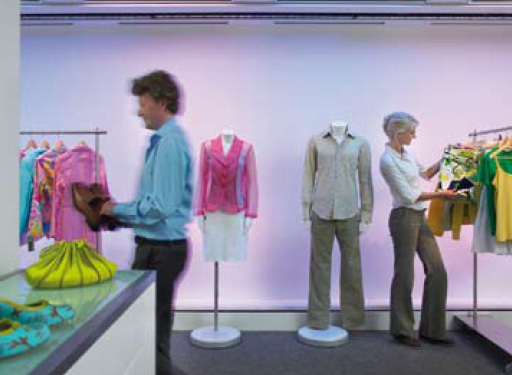 Flexible and adaptive, lighting enables retailers to create dynamic shop environments that convey powerful, engaging impressions. It can be used to optimize product presentations, and it can be adapted to support the latest‚collection, specific themes, the seasons, materials, colors, etc. It can also create a stage for temporary promotions. In the evening too, when the shop is closed and outside lighting levels are low, new dramatic effects can be applied, again creating fresh and memorable impressions.